Unfinished wood furniture, simple wooden toys, and naturally-dyed fabrics are used to create some delightfully peaceful nurseries. To design a natural nursery for your child, we recommend beginning with furniture selection. Darker woods such as walnut create a dramatic contrast, while lighter woods such as birch blend in and let other elements shine. Whether you decide to go with new, vintage, handmade, or heirloom furniture, natural woods lend themselves to a timeless nursery. After your furniture is chosen, the next step is choosing a wall color. Soft whites, ivories, grays—these are nursery wall colors that are not only versatile, but will grow with your child. If you decide to go with cooler walls, warm woods and textiles will help balance the palette. If you tend to favor bolder color, an accent wall is a dramatic touch. It's also good to keep in mind that your child's possessions and other toys will be colorful, so maintaing a neutral room will allow the space to evolve to fit your child's personality. Now that the big items are covered, the rest of the room decor rests on the details. Big, cozy rugs, soft sheets, and curtains should be neutral, yet warm. To let the natural elements shine, neutral or soft-patterned textiles are also recommended. Brass and copper metals for light fixtures and furniture hardware are another way to add some warmth to a soft, neural room. Wicker baskets and wooden boxes work well for storing extra linens, books, and toys. Another great way to feature natural decor is to bring the outdoors in. 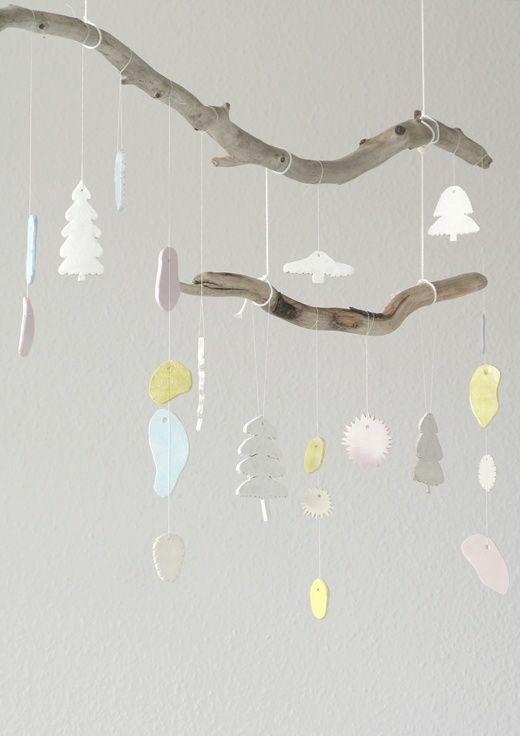 Make a garland out of foraged leaves, collect driftwood on the beach and turn it into a mobile or a clothing rack for your baby. Plants are also a welcoming touch, but be sure to choose safe plants and place them out of reach. Last, but not least are the wall hangings—art prints, family photographs, wall decals—there are so many options. weeDECOR has a number of wall decals to help finish your natural nursery, including large trees, flowers, simple white polkadots, or your child's name. All of our wall decals are made of eco-friendly, baby-safe fabric rather than vinyl.